For centuries, ancient Ayurvedic wisdom and unique tools, such as Kansa Wand have been used together to enhance health and strength, increase energy, support general well-being & longevity and relieve stress. You have probably seen one of the many Kansa Wand reviews popping up on the internet and are wondering if Kansa really is an Ayurvedic magic wand or is it just an other bunch of empty promises like so many other products. Rest assured that you have come to the right place. I have long personal experience with with amazing tool and it’s effects on my body and my face. Introduces unique healing, reviving and deep relaxation experience. I fist came across Kansa Wand on my travels to India as a 19 year old backpacker. I was suffering from insomnia due to the jet lag, the heat and humidity that hit me like the wall. The first week of my trip of a lifetime was spent wandering around like a zombie from my inability to sleep in sweaty hostels and guest houses among so many other travelers. I knew Ayurveda, so I turned for a local guide for help in Jaipur. 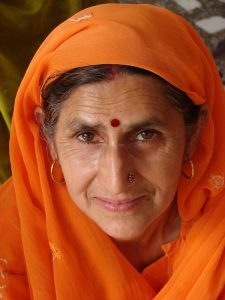 He introduced me to his mother-in-law, who was an Ayurvedic healer, but spoke no English. She invited me to a session in her house, she indicated she wanted me to undress and lay down on a table and relax. She examined me and then she massaged my body with some strange object that I couldn’t identify. But it worked wonders! I actually fell asleep on her massage table and she left me rest good 4h in the treatment room before gently waking me up for some ginger tea. I thanked her, she didn’t accept any payment for her help. I slept like the baby the following nights, completely unaware of my surroundings. It was a miracle and I was eager to know more, I wanted to learn this technique! Unfortunately my trip schedule did not allow me to stay, as we had booked a train, but I did ask her with the help of her son-in-law to write down the name of the tool and technique she used. She did, in Hindi! I gifted her a vibrant picture I had painted of her city the previous day and she cried, so did I. We parted forever, but my heart stayed with her. Occasionally during my trip I went to Ayurvedic healer for treatments always showing the word, some smiled and gave me the treatment, other shrugged their shoulders and treated me with some other massage. Months later on in Kerala, South of Indian, I met some students from US, who had Indian roots and were traveling around the country with the train like I did. They invited me to stay with their family. meant, but the daughter of the house was learning about this ancient technique from a master. With some difficulty I was allowed to attend 3 of the teaching sessions the following days, all in Tamil! During those days I did not only learn a lot about this wonderful tool and it’s benefits, but also deepened my knowledge in Ayurveda and the herbs. I was sad when it became time to leave home. Once I got back home I picked up studies in Ayurveda medicine! I started to study Sanskrit as I wanted to understand the ancient secrets. This was not an easy task and 25 years later I am still learning! Since then I have studied everything I could gotten training in this technique, finally getting my qualifications for it 15 years later in Sri Lanka. What Is Kansa Wand Exactly And How Does It Work? The power of this tool is said to come from the ancient, golden metal called Kansa, which is essential part of the tool. In English it’s called Bell metal and is form of Bronze. In India it’s also traditionally used for cooking gear. Kansa wand is a healing tool, that works by balancing the 3 Ayurvedic doshas of Vata, Pitta, and Kapha. According to the Ayurvedic medicine, all the health problems are in fact caused by the dosha inbalances. Additionally the Kansa Wand therapy combines ancient Tibetan knowledge about the bodies marma points and how you can stimulate them with the correct tool, which also consist of Kansa metal. Kansa wands come in different sizes and traditionally are used on the face, the body and the feet together with some Ayurvedic massage oils. In the Western society Kansa is gaining popularity as an amazing beauty treatment, with it’s immediate skin tightening and vitalizing effects. The list goes on and on and this therapy is used from India to Tibet and Sri Lanka everything possible from common colds, chronic pains, mentail disorders and dementia. Where Can I Learn More and Buy a Set? I have original Kansa Wands hand crafted in Sri Lanka where I studied the technique, however it is not possible for everyone to make the same Ayurveda pilgrimage I did! Kansa Face Wand – pecifically designed for face massage. The smooth dome surface can be moved across the face in gentle, light ways for the sensitive skin on the face. Medium Kansa Face and Body Wand – multi functional design: the shape of the dome allows you to use it on the face as well as different points of the body. Large Kansa Foot Wand – The wide and open shaped dome works with the full contours of the foot, allowing you to access the general energy of the foot. 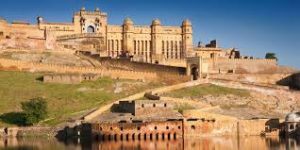 This fantastic course gives you a in depth knowledge about Kansa including it’s history and traditional usages. It introduces you all the 4 tools and teaches you the different uses of these tools either for self-massage or performing treatments on clients. It shows you which one to pick for which purpose. A wonderful video set that can teach you the basics about Kansa Wand therapy and all the main principles behind it! 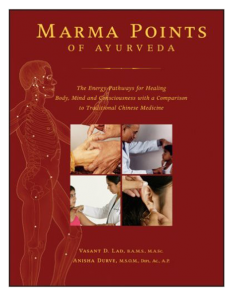 This book will teach you the knowledge of the bodies energy points, marmas. 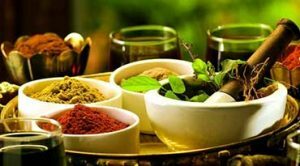 It discussed the usage of these techniques in Ayurveda massage and how they relate to detox, acupressure, aromatherapy, yoga practice and meditation. The Marma Points, also called Bindu of Ayurveda are mystic points that open pathways to the inner sanctity of the body. Once stimulated these pathways direct the body to produce exactly what it needs- hormones, neuro-chemicals, the mind and consciousness. Special set with an oil for him and her. Enhance the benefits of the ayurvedic daily massage with our specially-blended Youthful Skin Massage Oils. More easily absorbed by the skin than most regular massage oils, these precise blends of ayurvedic herbs and aromas rejuvenate the body quickly. They promote healthy circulation; help balance mind and emotions; support resistance to stress; and promote natural energy throughout the day and a deeper quality of sleep. I hope you have enjoyed my personal Kansa experience, it is closely related to the story why I got so deeply involved with Ayurveda in the first place. As a cancer patient it is extremely difficult for me to relax due to intense pains I am often experiencing. I hate taking any medication for my pains, but instead use as many natural methods as possible! If you have any questions and comments, please let me know. I would be delighted to get you started with this amazing technique and if you are interested to try it out, I can give you a free trial session! Previous PostPain Management With MeditationNext PostHow To Help A Cancer Patient – Are You Also Clueless? I bought a beautiful medium size kansa wand from Amazon for $19.95, free shipping with Prime. It’s very high quality packed in a velvet bag with instructions. I use organic coconut oil with mine and it did turn my face dark gray but it washed off. I’ve seen benefits in just a few days of use. Amazon Kansa wands are most of the time not genuine items and often made of normal brass instead of Kansa. I hope your purchase was an exception to the rule. It’s normal for the face to turn grey during the first few uses and you can just wash off the residue. if there is discoloration on your skin how long discoloration go away? Kansa wand will not directly help with pigmentation. However there are several ayurvedic skin care products that do. Take a look at this http://shrsl.com/sfao it has helped my friend to get rid of her blemishes all together. Hello, can the Kansa Wand benefit cellulite as well? Hi there, yes as it will improve the elasticity of the skin and improve blood flow. It will however not help for the issue with fat deposits, which are best resolved with dietary changes. Hello I’ve just used the wand on my clean face with the oil provided and it turned my face blue? Is this normal ? Is this supposed to happen? I use mine on the face daily for 5-10minutes, others use it twice a day few minutes at the time. It will depend on the intensity and length of the session really. I would say at anything from 3 times a week to twice a day is good. Also please note that some people’s skin is more sensitive than others and then it’s better to do more intensive session few times a week, than to use it daily. For the body, I use recommend 2-3 times a week. I live in Australia and would love to purchase your ‘ageless beauty pack’. I noticed it’s sold out. Could you please let me know when it will be available again? Hi, you need to contact the site directly 🙂 I know some of the products are very popular and get sold out in hours after the new supplies arrive needed for this pack. This is a product which is also extremely popular on the Indian market, so the producer is having a hard time of keeping up with the demand. I’m happy to hear it has worked for you! Long term effects will be amazing! Please,please do NOT share my email address with other companies. No. Technique does not require a lot of pressure, but using the tool does take some getting used to. I suggest starting with short, 15-20min sessions. I’m a hair stylist and would love to use this on my stressed clients before I shampoo. How would I sterilize after use? I never use alcohol on kansa wand, but rather coconut oil, which is naturally antifungal, antibacterial and antiviral! Hi, can the wand be used during pregnancy? Yes, it can be safely used during the pregnancy as the detoxification is gentle process. It will specially help with the swelling caused by the pregnancy, as it improves circulations and therefore I recommend using it on the face, feet and legs. Additionally it will help with lower back pains caused by the extra weight carried in the front. I am interested in all of it – is there a bulk deal? Yes if you buy in large enough quantities. Please write to me privately and we will discuss details. Hi Narelle, nice to hear from you, sorry for the delayed response! Kansa massage wand will absolutely work and help you to balance out your skin, reducing the signs of age, smoking and other lifestyle choices. Some red wine is not bad for your skin, so no worries. I have to admit that I haven’t personally treated DSAP, but I will take contact with some of my colleagues in India and we will soon get an answer. I will write to you back privately and recommend the best creams and other products for your problem after I dig a little bit more information about DSAP. Thank you so much for your reply, I would love to purchase the Kansa wand but am a bit confused about which one. Which would do best for face, arms and legs? And also the oil necessary to use with it. Could you please send me a private email with the details. Thank you so very much. I will answer you privately. Thank you for your enquiry. Where in the UK can I book a Kansa massage please? Hi Nicola, there are not so many kansa wand therapists in UK, but some ayurvedic clinics offer it, it depends on your location. If you want, you can send me a private message to artbyheart@artbyheart.biz with your location and I will try to help you to locate the one closest to you. My face was very grey. I cleaned it off with pads soaked in water,but the amount of ‘soot’ removed was scary. What should I have done? Hi Jay, this indicates that your skin had a lot of acidity and some of it was drawn out of the skin with the help of the kansa wand. This is a GOOD thing. You can use pure cold pressed coconut oil on your skin, this will help against the acidity. You can also buy a pomegranate, crush the seeds and make a facial scrub. Leave into the skin for 10 minutes before washing. It is to be used every second day until the acidity is removed from the skin. Additionally you can drink some of the juice. There are also many yoga poses that help if you practice is. Let me know and I can give you more advice. I’m confused. Is there a battery inside the wand? Does it vibrate? I just wondered because that would be new technology.. if it’s ancient I guess they don’t have a battery. But then how would it get blood circulation going? Just curious because I’m interested in buying one. 1) The massage itself helps to increase the blood flow to the face. Kansa wand is a very good massage tool, with easy to handle for producing gentle friction on the skin. 2) The recommended herbal creams and oils made with pure ayurvedic essential oils used with the kansa massage wand will penetrate the deeper layers of the skin due to the massaging action, increasing blood flow and stimulating new cell growth. 3) The kansa metal, type of copper, is metal that conducts electricity and hence stimulates the small electrical currents that are working in our body everywhere, in each cell. This stimulation helps the blood flow and encourages the cells to regenerate and pulls acidity out of the tissue. When used, oils or creams will often turn grey or black. 4) From ayurvedic point of view the kansa metal balances our doshas and helps to align our chakras by improving the body’s natural energy balance. I hope this explains a bit more. Please let me know if you have any other questions! Hello to the admins of this site. This article and the whole content of the site is really great. I simply love ayurveda and its methods, it’s so much better than western medicine. I have heard so many good thing about the kansa wand and after reading your review ordered the womens day offer. Very good value! Hi Michelle, it’s good to know that the readers are enjoying the content of my site. The womens day offer for the facial Kansa wand is indeed really great value! Can you explain how the kansa metal help the skin to stay young? How does the science work? Hi Deandra! Kansa massage wand massage creates some friction on the facial muscles and it helps to pull acidity from the tissues. You can see this as the massage oil used chances colour! Additionally the copper has a subtle electrical conductivity. which gently works balancing the body’s electrical current, helping the massage oil penetrate the deeper layers of the skin. Hi, I have a question about the marma tool. I understand that it bases itself on energy pathways. I wonder how is marma therapy different from Chinese acupuncture? Both attempt to manipulate the energy pathways in order to solve blockages which are causing illnesses and disorders. Acupuncture uses thing needles for it, marma tool a different technique, working with massage patterns and pressure. I am planning on writing an article about it. I will let you know when it’s finished. Hi Sue, sure thing. I have sent you an email and will be happy to answer any of your questions. Hi Hayley, I have sent you an email based on your comments on my blog post. Loved reading your review – kansa wands are magical and have helped me greatly with stress levels and improving my skin tone. Hello, I’m new to the Ayurveda world and just bought my first set of Kansa tools. I’m so excited about learning how to use them and equally excited about finding your website and reading your story. WOW your experience with the tools and Aryurvedic Medicine is facinating. Thanks so much for sharing your story and experiences. I’ve been a massage therapist in the United States for 23 years and truly want to learn this method. I personally suffer from abdominal issues and some occasional low back discomfort so the full body Kansa technique is most interesting to me. Is there a webinar/online training available? I don’t see it anywhere. One other question. 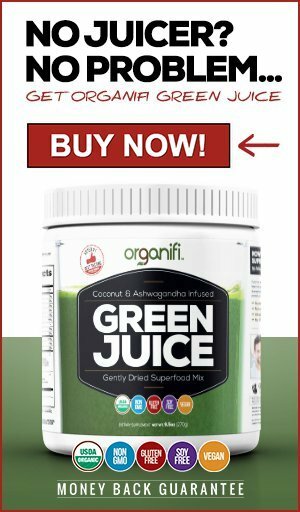 After many years of use, I just recently made a health conscious decision to stop taking hormone replacement so I suffer terribly from hot flashes and many sleepless nights. Is there a specific method available for relief? I am happy you enjoyed my review. This method is great and makes an enormous difference both on the health and the skin. 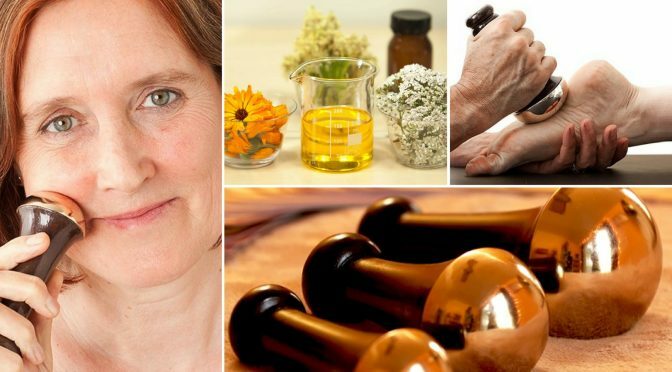 I will send you an email with some information regarding the online course and also a recommendation for a wonderful course on how to take a holistic approach for the symptoms of the menopause. I am planning in writing an article about this soon. so make sure to subscribe to my ayurveda mailing list. Hi, are they difficult to use? How long will it take to learn the technique from the online course or DVD and are they the same? Are they available in Germany? Are you based in Germany and can I invite you to my clinic in München? Hi Melanie! No, the technique is not difficult to learn, most of the ‘magic’ is in the kansa metal itself. The online course and DVD are the same, some people just prefer not getting the DVDs due to shipping costs. It will take about 1 week to learn this technique if you go through the course with thought and practice! Hi Judy, you can purchase through the link on this article. They deliver world wide, have good experiences with this company’s shipping, otherwise I wouldn’t recommend them! I have had my set now for 25 years, this one is made of stone and I have used it daily. The current set I use for treatments is also 8 years old. I would estimate it has around 3000 massage hours behind it (for the face and body tool). It is made from wood and has only worn off a little bit from the handle end, but nothing little sanding and re-oiling won’t fix. The metal, healing part, is completely unaffected despite the heavy use and the age. Great article on the Kansa wand set. When got married several years ago I had gone to a massage parlor and the lady actually used these techniques and tools that you are mentioning in this article. I remember that it seemed a little weird at first but as the massage went on I practically fell asleep. When I woke up I felt as if I had been reborn and was almost in a state of euphoria it seemed. I would recommend anyone either get this training or at least find a masseuse that uses these techniques as it is well worth the time and money! I agree that it is the most beneficial to get a certified massage therapist to perform this massage, but it is actually really easy to learn yourself too, with little bit of practice! It is definitely worth the money and you can in fact become a therapist yourself and advertise your services, the business is good since there are only so few Kansa Wand therapists available outside India and Sri Lanka! 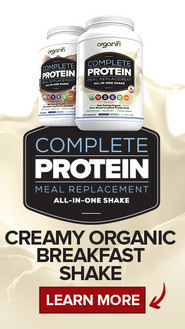 I’m always amazed by the selection of alternative products you have here – I learn so much from every article I read! As far as the Kansa Wand is concerned – it is certainly a new one on me (although I was aware of certain ‘effects’ of certain metallic items!). Hi Chris, I was also first sceptic about solo use, but bought a set and use it on my own feet and face for fantastic benefits. I have a bulging disc L5 & S1. Which wand would help me? I also have neck issues and right shoulder bicep repair pain. Does this wand come with instructions? Hi Leah, thank you for your comment. To answer your question properly I would need to know if the pain you are experiencing is trapped nerve pain or the disc itself causing discomfort? However in either case you will receive benefits from Kansa wand massage, it is great for relaxing the nerve system and soothe muscle tensions and help with rehabilitation. I have been treating someone with a trapped nerve 10 times and he is like a new person 🙂 The technique is easy and amount of instructions depends on the package you choose! Since you have a medical condition, I suggest you order the Kansa Course DVD set program. It is fantastic, covers everything and will teach you the the best techniques to help out with your disc problem. Let me know if I can be more in assistance! You have me convinced. I have seen so many before and after pictures but this actually gives information about the Indian roots. Very interesting. I have ordered both the wands and the program. There are other great articles too, great site. I am happy my kansa wand review was able to help you. I have long history with this therapy and can recommend it warmly. I am happy that you decided to order it, I’m sure you will receive great benefits from it. This could be what my wife has been looking for. She suffers from regular muscle spasm and aches around her neck. I’ve lost count of the number of times she goes for massage to try and help with the pain. Thanks for sharing your knowledge on this. I’d be interested to hear what you think about using this for her aches and pains? Is it something that could cure these spasms or would the Kansa wand only have a temporary effect? Hi Craig! Kansa wands are used for curing many illnesses with the skillful hand, will definitely bring relief for muscle spasms. I believe she might be suffering from some sort of nerve damage, which can be rather easily reversed with correct massage techniques. Marma tool is also very helpful with this, as it helps to open and close the bodies energy flows. The set comes with marma tool and the course also talks about this. Thanks for this info. I’ll check it out more closely. I simply loved this, I have been looking for honest review for a long time! Finally someone who knows this therapy and has spent time learning from masters. The tools and the course look fabulous too. I think you are based in Europe? We have alternative health clinic in Berlin, would you be willing to come over and teach us? We cover the expenses and fees of course. Thank you very much Johannes! I do indeed have a lot of first hand experience from my learning trips to India and Sri Lanka! I have just done a post on my website about Aryurvedic Medicine and what it can do for hair loss. I am very interested about the Kansa Wands and how they can relax you and improve blood circulation, which is exactly what is needed for healthy hair growth. Your site is full of information and now I know how much these wands will cost and where to get them. I will definitely be coming back to your site often as I am a big believer in healing by natural methods! Hi Robin, nice for you to drop by! It’s interesting what you say Ayurveda helping for hair loss, as a cancer patient I lost my hair first time around, but not the second time, as I was using Ayurvedic methods to increase the blood circulation and improve my hair quality. I welcome you back as often as you want, as you can see, I am posting a lot about different Ayurvedic methods and aids. 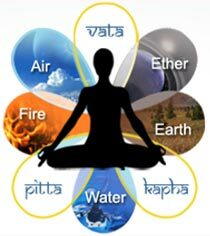 I am planning on series of articles into the priciples of Ayurveda soon. I’ve never heard of a kansa wand before but it sure does sound interesting. Is it really something that you can do yourself or do you need somebody else there to use the wand for the massage? I know it says you can do it yourself but it doesn’t seem like it’d have the same relaxing effects because you’d have to focus on where and what you’re doing. You can definitely use the Kansa wand on your face, your feet and the various body parts without anyone else’s help and benefit from it greatly. For the truly relaxing effect you can ask your spouse or a friend to join you in learning this technique! Amazing information. Thank you. I have not had much experience of the Ayurvedic system so I found your explanation of the Kansa wand and your experiences learning more about Ayurveda fascinating. It seems to me that the ancients agree that the Universe is all energy. The systems they developed to tap into it are diverse and yet they’re all interrelated. It’s very interesting, that. Hi, Hanna! Thanks for sharing this review for this wonderful product! I think that it would be a great idea to use something like this since i am dealing with pains on my back and my neck as well! I really love your site! I really enjoyed this. I have never heard of this product before. Reading about your experiences in India and with the Kansa Wand really got me interested to learn more about Ayurveda. I will definitely be back for more. Hi Elmien! I am very happy to hear that you enjoyed my story about India and that I have been able to spark your interesting in the benefits of Ayurveda 🙂 Hope to see you back soon! Hello Hanna! An other amazing review from you 🙂 I have known you so long and yet you never told me the whole story of how you got started with Ayurveda! How wonderful, I am slightly jealous of you for all the travelling to India and Sri Lanka you have done. Have you also been to Tibet to study their amazing healing methods an meditation techniques? I have always wanted to make the trip but never had the opportunity! Hi there Diana 🙂 Thank you very much. That’s indeed my personal story about how I got started. Unfortunately I have never been fortunate enough to spend time in Tibet!I have how ever studied under a Tibetan healing master several years in Scotland. Hi…Ive just become aware of the kansa wand and the facial and foot massage. I live Glasgow area do you know of anyone who actually practises this within reasonable travelling distance? Hi Sheena, thank you writing to us. Unfortunately to our knowledge there is not a certified Kansa Wand therapist anywhere in the Glasgow area. The only one we know of that is specializing in real Ayurvedic therapies is the Indian Spa Therapies We know for a fact that they practice reflexology, but to not Kansa Wand massage! The lack of therapist available world wide is the reason we are at the moment advocating for people interested in this therapy, the teaching DVD and the kansa wands set. The technique itself is rather easy to learn, as most of it’s secret is related to the kansa metal! You should be able to self-massage a large proportion of your body, or perhaps have your partner joining in. We recently had one of our customers, who purchased the set only 5 months ago, open her own kansa wand massage practice in the Frankfurt area. Wow whoaman! I am in love with all of the awe-mazing products you share! I have always wanted a Kansa Wand. I am that woman who is hard to buy for. One year on mother’s day I woke up, did some yoga, grabbed a glass of water and announced that I was going on a cleanse and planned on giving up coffee. My husband had bought me a specialty coffee maker, lol. I will have to direct him to your site with a little wink and a nudge to let him know what I want for Christmas! Once again, thank you for sharing your wisdom!